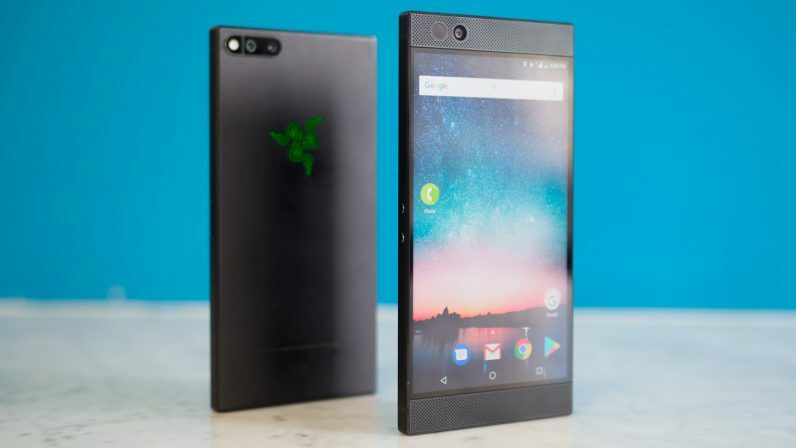 A few weeks ago, we got our first look at the upcoming Razer Phone 2. It showed a device that appeared nearly identical to the original, at least from from the front perspective provided. Today we’re getting our second good look at the device, courtesy of ever-reliable leaker Evan Blass. Aside from corroborating the earlier report, the new leak does at least show the phone has a rearranged camera setup. There still appear to be dual cameras on board, and there’s no telling whether Razer actually improved them, but maybe it’s a sign Razer is focusing more on image quality this time around (that’s just me hoping though). As they say, it’s what’s inside that counts, and that’s where we expect to see most changes on this model. We’re assuming the typical bump up to a Snapdragon 845 processor, and though the battery will seemingly remain at 4,000 mAh, that’s already as much as the top phones out there. In any case, the 845 is a more efficient processor than the 835, so hopefully that’ll translate to better battery too. Razer sent out invites for a launch event on October 10 where we expect to hear all about the Razer Phone 2. Stay tuned to TNW for more.